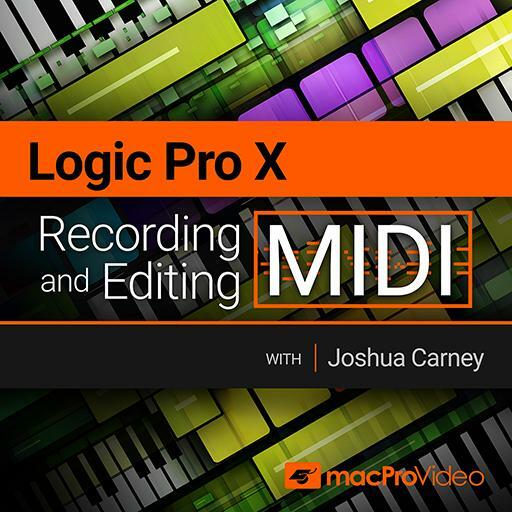 Logic Pro X 103 - Recording and Editing MIDI. Which quantization value represents a whole note? What is the shortcut to record in Logic? MIDI CC number 001 is what continuous controller? What is the shortcut to create a new track in Logic? What is the shortcut for Force Legato? Which Replace Mode inputs new MIDI notes into a region, but does not separate the region? What MIDI feature can be used to make sure that a note will play back when the playhead starts in the middle of the note? Press ____, then ____ to quickly select the Pointer Tool in the edit tools pop-up window. Triplets divide the quarter note beat into how many 8th note subdividions? Which advanced quantization parameter allows you to create arpeggios from quantized chords? Scale Quantize allows you to quantize pitches to major or minor scales; however, does not allow for modes, like Dorian or Mixolydian. MIDI FX come AFTER software instruments in the MIDI signal chain. These can be used with cycle record to record multiple takes back to back within Logic. What is the shortcut to pull up the Controller Assignments window? What year was the MIDI standard introduced? Use a lower buffer size when recording, and a higher buffer size when mixing. What value represents a fully depressed sustain pedal? Which type of quantization allows you to quantize individual MIDI notes, or a selection of MIDI notes within a region? The General MIDI standard was introduced in _____ and added additional requirements and improvements on the MIDI standard. What is the shortcut to capture record/capture recording? How many ticks are contained within a beat (quarter note)?